Interestingly and most fairly, the appeal point was made known to the Court by a letter to the court from the Department of Justice. The second appeal handed down on 18th December 2014 concerned a trial judge who had gone beyond the permitted scope of questioning a Defendant who was giving evidence in his own trial charged with drug-trafficking. The Court of Appeal confirmed that trial judges are permitted to clarify matters with witnesses but should not interrogate them. 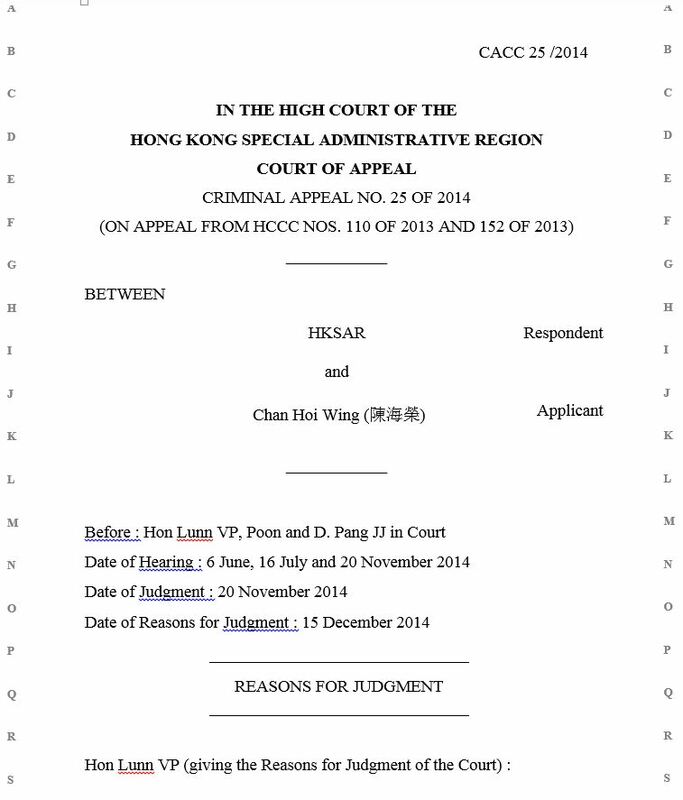 “The judge’s conduct was such that it would have caused the informed bystander listening to the case to say that the defendant had not had a fair trial,” Mr Justice Derek Pang wrote in the judgment. The appeal was allowed and a re-trial ordered.